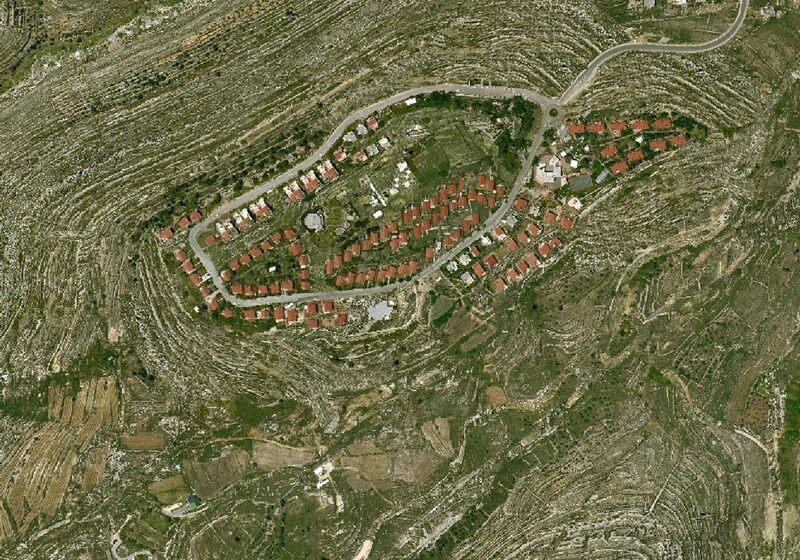 Settlements are suburban when put in relation to the Jewish geography in the occupied territories. 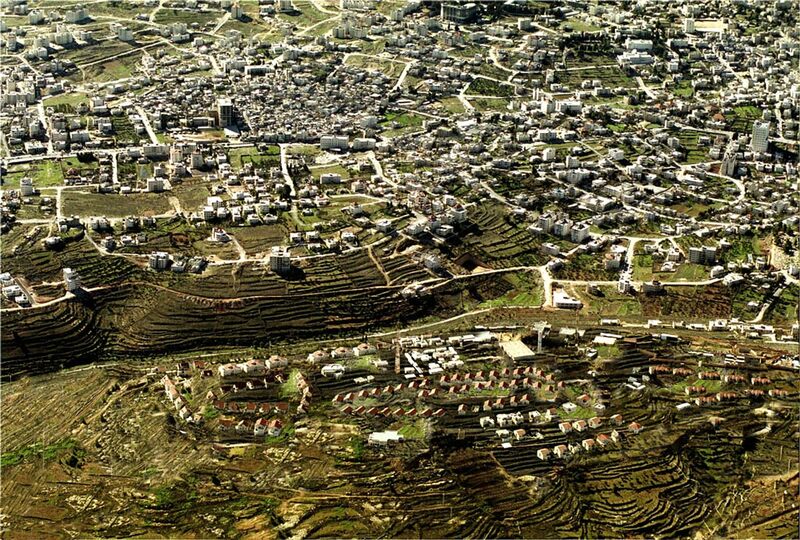 They are fenced up bedroom communities fed by a growing matrix of roads and other infrastructure, but they could be understood as potentially urban when put in relation to the Palestinian cities besides which they were built. The surface of the suburb is marked by its various uses. It is inscribed extensively with the signs of the petty bourgeois lifestyle that maintains it: an excess of roads and parking lots, private gardens, fences, sidewalks and tropical plants. 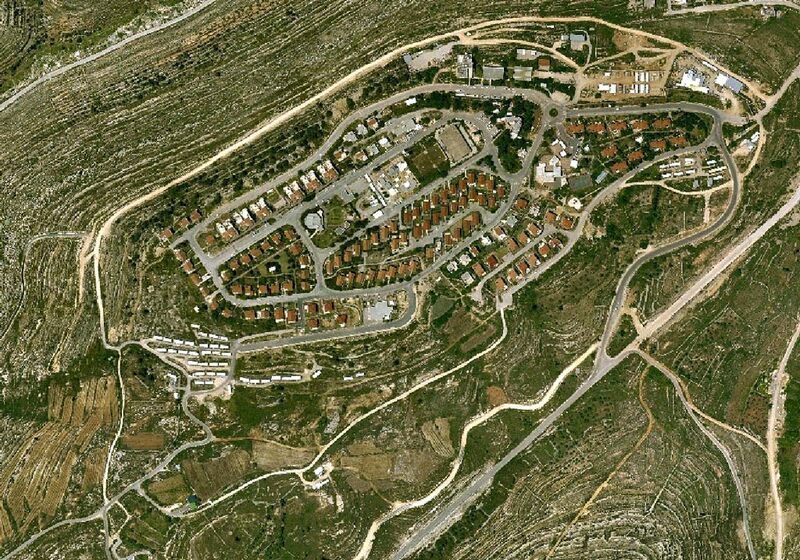 The pattern of streets in the settlements/suburbs is a folded linear structure strung by roads and sidewalks. By designating drive/walk/no-walk areas, channelling movement, designating the different degrees of private and public space the first ten centimetres of the urban ground surface embody most of its operational logic and also its ideology. This surface is the primary site of our intervention. 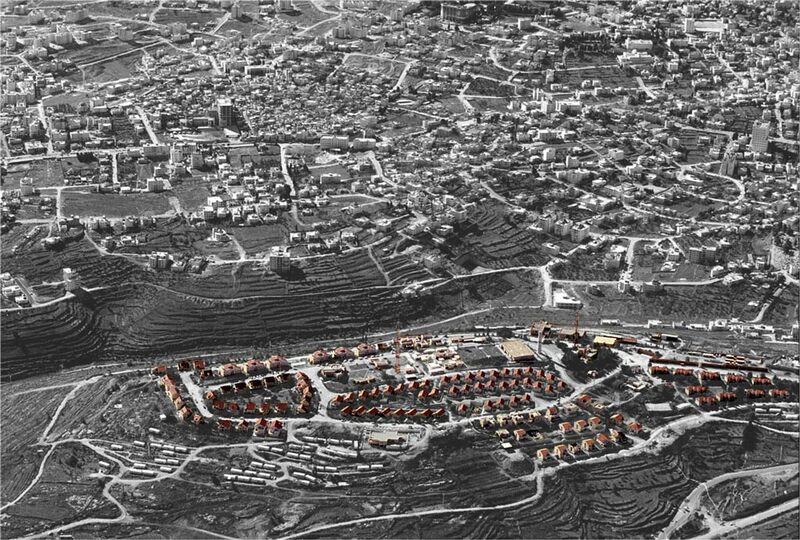 It is the logic of the surface that we seek to deactivate in order to dismantle the structures that define the internal organization of the suburb as it will become a set of public and communal functions. Under the category of ‘ungrounding’ the manual suggests a radical transformation of the first 10cm of the ground. Ungrounding is achieved through the dismantling of the existent surface – roads, sidewalks, private gardens – and their replacements with a new surface layer. Methods of ground transformation are based on accelerating the decay of existing surface elements. The pervasive system of concentric roads and spaces for parking will be eroded, removed or buried under new surface layers. The barriers and fences that demarcate the edges of the private lots of the single-family homes will be removed as the ground gets abstracted and ‘collectivized’. 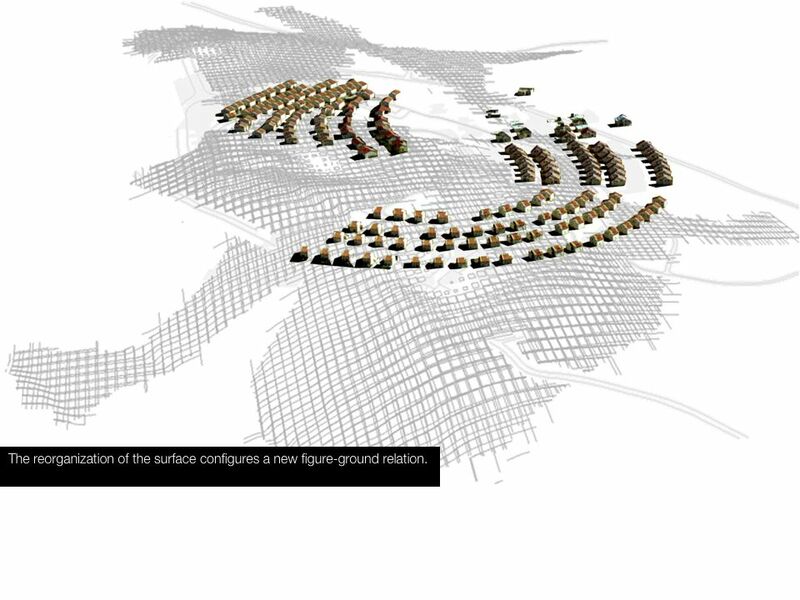 The built structures will be suspended like pavilions on a single, unified, new surface. 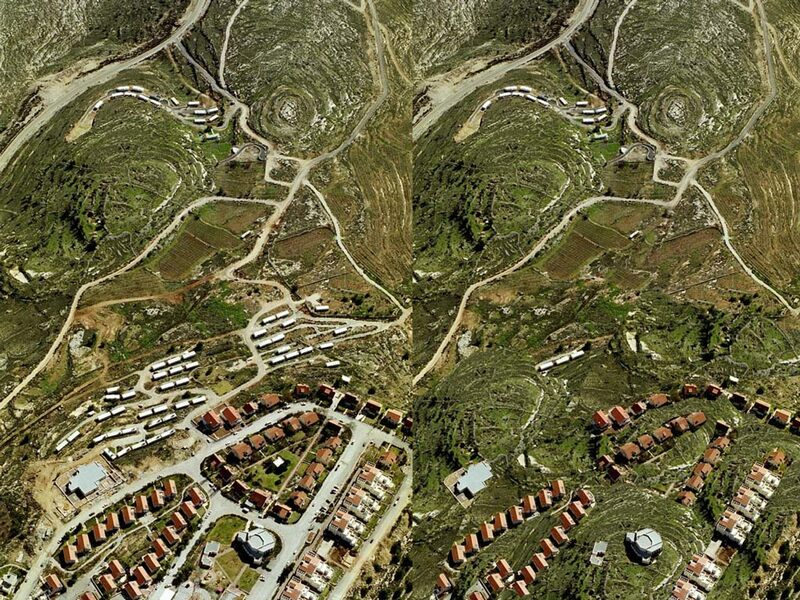 The re-grounding of the surface is a central part of a strategy that seeks to reconfigure a new figure-ground relation. 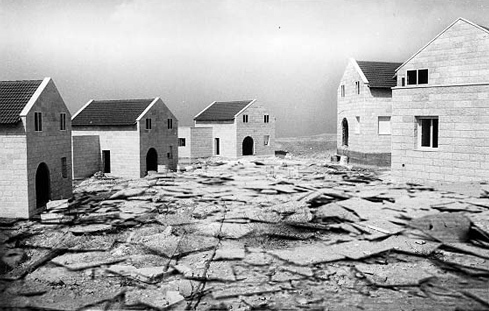 The possible connection between the individual buildings will be reconceived. 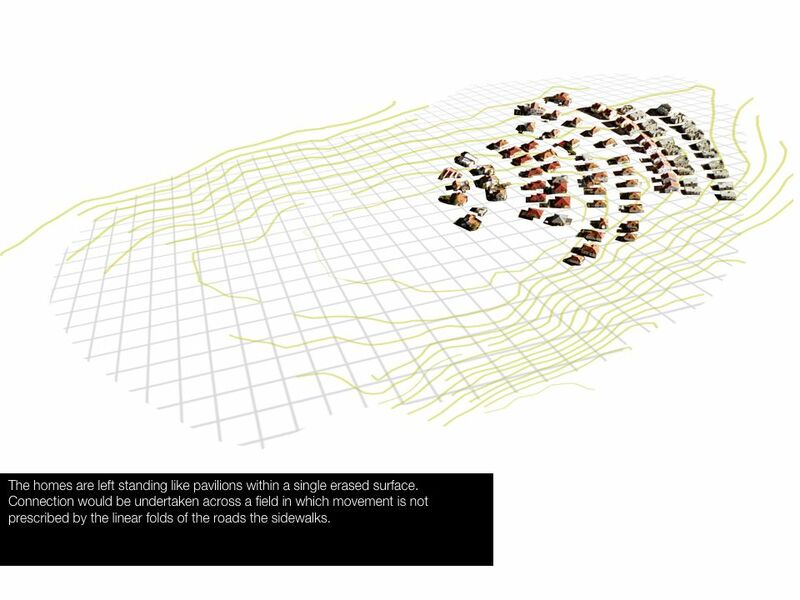 Connection would be undertaken across a field in which movement is not prescribed by the linear folds of the roads and the sidewalks. 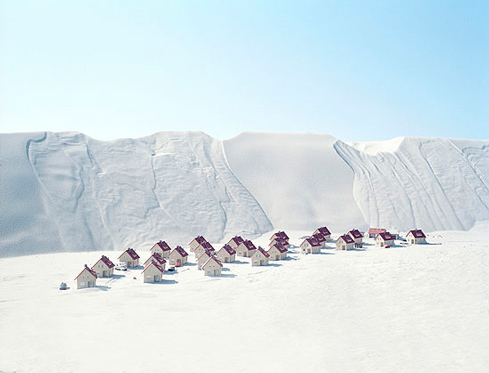 Thomas Werde: Settlement (2005).The snow erases any trace of surface domestication. 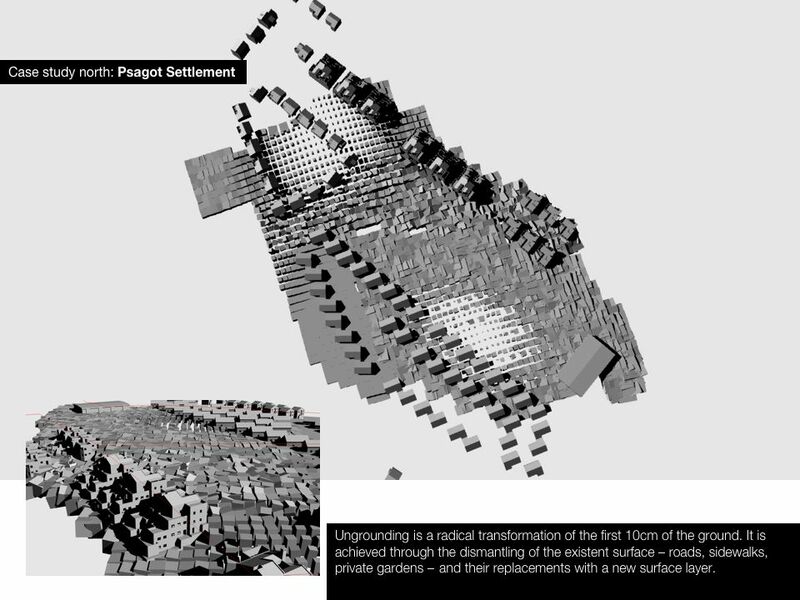 Could controlled material decay become a process of place making? 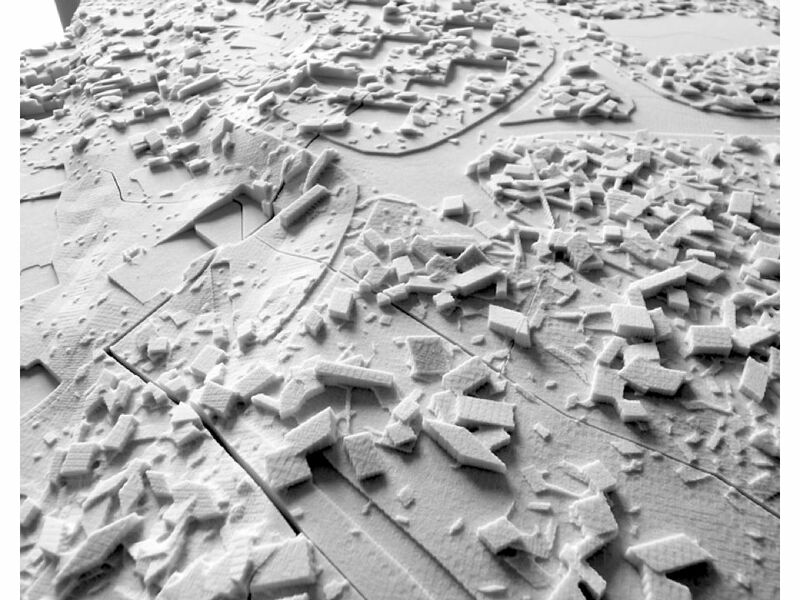 How could destruction become a design process that may lead to new uses? In the case of ungrounding it is clear that the destruction of the surface – through actively uprooting its elements and also through accelerating the decay of other surface elements – would create the ground from which new life could emerge.